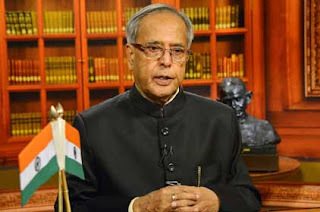 The President of India, Shri Pranab Mukherjee has condoled the loss of lives due a cloudburst near the Baltal base camp of the Amarnath Yatra in Jammu and Kashmir yesterday (July 24, 2015). In his message to Shri N.N. Vohra, the Governor of Jammu and Kashmir, the President has said “I am saddened to learn about the flash floods triggered by the cloudburst yesterday near the Baltal base camp of the Amarnath Yatra in Jammu and Kashmir. I understand some persons have lost their lives including two children, others are injured and many are missing. Rescue as well as search operations are currently underway. The Prime Minister, Shri Narendra Modi has condoled the passing away of former Kerala and Bihar Governor, Shri RS Gavai. "Shri RS Gavai was a very experienced public figure, serving in the Maharashtra Legislative Council and as Governor of Bihar and Kerala. We will always remember Shri RS Gavai's contribution towards welfare of poor and marginalised. My condolences to his family on his demise",the Prime Minister said. The Prime Minister, Shri Narendra Modi has condoled the passing away of Rajya Sabha MP Shri Kalpataru Das. "Pained to hear about the passing away of Rajya Sabha MP Shri Kalpataru Das. My condolences to his family. May his soul rest in peace. Shri Kalpataru Das was actively involved in social work and was extremely passionate about Odisha's progress", the Prime Minister said. Shri J P Nadda, Minister of Health and Family Welfare held a review meeting with senior officials of Health Ministry in the backdrop of recent outbreak of Japanese Encephalitis (JE) in Assam. He stated that the Director General of Health Services has been directed to immediately rush a team of experts to Assam to assist and advise the State health authorities in clinical management of the cases. Enumerating on the steps taken by the Ministry to assist the Assam Government, the Health Minister stated that “All the necessary assistance is being provided to the state of Assam to handle this outbreak effectively. We are closely monitoring the situation and whatever additional help is required would be provided with immediate effect,” Shri Nadda said. “Senior officers of the Ministry of Health and Family Welfare are in regular touch with the State health authorities. Sufficient number of testing kits has already been provided to the state,” added Shri Nadda. The Additional Director of the National Vector Borne Diseases Control Programme is camping in Assam since 22nd July, 2015. The Ministry of Health & Family Welfare has already sanctioned funds for establishment of three paediatric ICUs in district hospitals at Sivasagar, Golaghat and Lakhimpur. The Health Minister has advised the State Government to operationalize these ICUs immediately. Also, keeping in view the large number of JE deaths the State Government has been advised to manage the cases locally to save precious lives. Extensive fogging is also being carried out. To address the situation, the State Government has asked the physicians from medical colleges to stay in district hospitals on rotation. In addition, The IEC activities have been strengthened with the help of PRIs. 365 JE positive cases and 66 deaths due to JE have been reported from the State so far. More number of deaths has been reported from the upper Assam districts namely Sivasagar (9), Dibrugarh (7), Jorhat (7) and Golaghat (4). During the review meeting of the Health Minister, it was learnt that majority of the victims are adults. 12 districts of Assam including Sivasagar, Dibrugarh, Jorhat and Golaghat have been covered under the adult JE vaccination campaign. All the districts of Assam have also been covered under JE child (1–15 years) vaccination campaign and routine JE immunisation programme. Cases detected are generally the persons, who have not been vaccinated. On Indian Railways, punctuality figure for Mail/Express trains are calculated on terminating basis after a train has completed its journey. During the last one year (01.07.2014 to 30.06.2015), Indian Railways have achieved 78% punctuality for Mail/Express trains on terminating basis. Whenever an incoming train reaches abnormally late at its destination on some unavoidable account and the lie over period does not permit the start of the outgoing link train, after maintenance at its scheduled time, the outgoing link train has to be rescheduled. During the last one year (01.07.2014 to 30.06.2015 ) 5893 trains were rescheduled due to late arrival of trains owing to various reasons. Broadly, trains lose punctuality on Indian Railways due to factors related to its internal working as well as external factors of which Railways are not in control of. Other than asset failures, various constraints /difficulties which adversely affect punctuality are numerous such as – line capacity constraints on account of increasing passenger and freight traffic, adverse weather conditions (fog, rains, breaches); intermittent natural calamities such as floods, cyclones, heavy rains; heavy road traffic at level crossing gates across the Indian Railways network; multi faceted law and order problems, including public agitations and bandh calls in left wing extremism affected areas, miscreant activities such as theft of Railway assets; mid-section run over cases involving cattle and humans, etc. Punctuality performance of Mail/Express trains, particularly those traversing through quadrilateral routes such as Delhi-Howrah, Delhi-Mumbai, Delhi-Chennai and Howrah-Mumbai corridors have been adversely impacted as these sectors are facing severe capacity constraint due to saturated line capacity. These routes are also intensely being used for carrying freight traffic including raw materials, coal for power generation needs, petroleum products, food grains, fertilizer, steel, export oriented container traffic, etc. Indian Railways has initiated various measures to improve punctuality such as prioritization of preventive maintenance of assets to minimize asset failures, capacity enhancement projects by construction of additional loop lines at stations, doubling, construction of third line corridors, automatic signaling, construction of low height subways replacing level crossings, Rail Under Bridges and Rail Over Bridges, etc. In addition, Zonal Railways have also been adviced to have better co-ordination with Civil and Police authorities of States to deal with situations arising out of law and order problems. To ease off decongestion of traffic on the Indian Railways network, Eastern and Western dedicated freight corridors have already been sanctioned and their execution is in progress. Once these corridors become operational, punctuality performance of passenger carrying trains is likely to improve. This information was given Minister of State in Ministry of Railways Shri Manoj Sinha in a reply to a question in Rajya Sabha Yesterday. For encouraging PPP (Public Private Partnership) on Railways, a Policy on Participative models for rail connectivity and capacity augmentation was issued in December 2012. Model Concession Agreements for Non-Government line model, Joint Venture, Build Operate and Transfer (BOT) and Customer funded models have been issued. Till now under different PPP models, 9 projects have been implemented, 13 projects have been approved for implementation, besides 6 projects which have been given ‘in principle’ approval. The Concession Agreements provide for Conciliation, Arbitration and Adjudication for resolving disputes between Government and partners. Projects under PPP model are undertaken on the basis of operational requirement, financial viability, bankability and interest of stakeholders. Such projects are not undertaken based on socio-economic development of a particular region. MoU for Indo-Bangla Railway connectivity project viz. Agartala-Akhaura new Broad Gauge line (15.06 Km) was signed on 16.02.2013 between Government of India and Government of Bangladesh. About 5 Km length of the project falls in India & 10 Km falls in Bangladesh. Final Location Survey for both Indian as well as Bangladesh portions has been completed. Project is at standstill because of sharp increase in cost of land for the sections in India. In order to reduce the requirement of land, proposal for construction of 3.7 Km railway line on viaduct has been submitted to the State Government of Tripura. No time lines have been fixed for completion of the project and running train for passenger traffic as the project is in initial stages. (i) Jogbani-Biratnagar (Nepal)(18.60 Km) new line project:- 5.45 Km length falls in India & 13.60 km falls in Nepal. Land for the entire project, except for a length of about 1.8 Km falling in Nepal, has been acquired and earthwork, bridge works etc. taken up. (ii) Jaynagar-Bijalpura gauge conversion & its extension up to Bardibas (69 Km):- 3 Km length falls in India & 66 km falls in Nepal. Final location Survey has been completed. Land plans for Indian portion has been submitted to the State Government. In Nepal portion, land has been handed over in 47 km. in patches. Earthwork & bridgework have been taken up in the stretches where land is available. An investment of ₹ 8,56,020 crore (approximately 135 billion US dollars) has been planned for next five years. The annual plan (Revised Estimate) of the Railways for 2014-15 was ₹ 65,798 crore. This was financed through Gross Budgetary Support, Internally Generated Resources and Extra Budgetary Resources like market borrowings etc. Over three hundred ongoing new line, gauge conversion and doubling projects with a throw forward of ₹ 3.5 lakh crore. Projects important from strategic viewpoint in Jammu and Kashmir and North Eastern Region or developmental projects which result in greater integration of these regions with the rest of India, could be categorized as National Projects. At present, there are 11 ongoing National Projects out of which 10 fall in North Eastern Region and one in Jammu & Kashmir State. Presently, no proposal to declare any further project as National Project is under consideration. Adequate funds have been provided for the ongoing National Projects in the current financial year and railways is not facing any such financial crisis. Railways has to depend on Gross Budgetary Support (GBS) for network expansion and other infrastructure development works, as most of these projects are unremunerative and are sanctioned on socio-economic and strategic considerations. Presently, there is a large shelf of ongoing projects and Ministry of Finance has been requested from time to time to give higher allocation to Ministry of Railways for completion of such projects. As a result, Railways got the highest GBS of Rs. 40,000 Crore in 2015-16 which is 33% higher than 2014-15 revised estimate. Provision for institutional financing has been kept in the Budget of the current year for critical capacity enhancement works.